Generation 2.0 RED, based on data collected by the Ministry of Interior, presents figures on Greek citizenship as they were up until the end of the second quarter of 2017 in Greece but also in Attica. From the begining of the implementation of the law until the end of the second quarter of 2017 (30/6), applications for Greek citizenship based on Law 4332 reached the total of 63.332. From these, 26.972 (42.6%) were submitted to services in Attica. 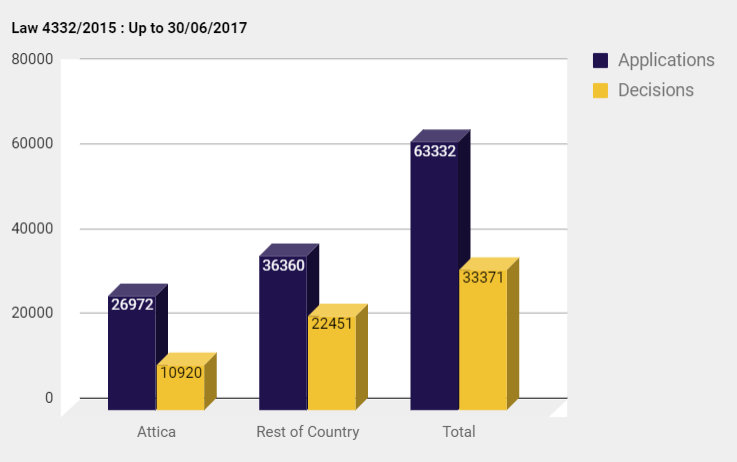 Since the beginning of the implementation of the law and until 30/6/2017, 33.371 decisions have been issued for the acquisition of Greek citizenship, of which 10.920 (32.7%) were issued by Attica based services. As shown in the table, the decisions on citizenship based on law 4332/2015 are considerably less in the second quarter of 2017 compared to the previous ones (7.061> 5.513) and it seems that the problem is concentrated not in the services of Attica but in the rest of the country. 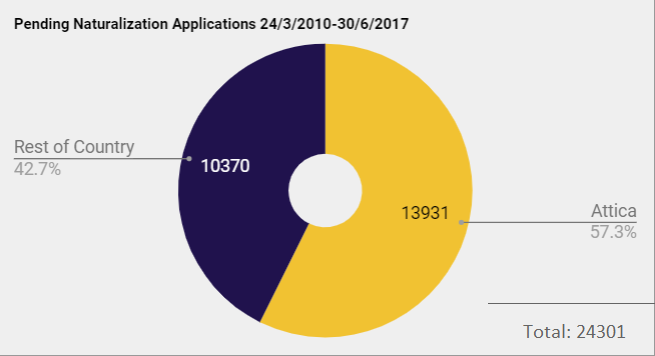 Pending applications for the naturalization from 2010 to 30/6 reach 24.301, roughly the same as in the first quarter of 2017 (24.213). You can take a look of the older statistics provided by Generation 2.0 RED here.